Welcome to this rustic and cozy chalet right on the Swan River! Sit on the over-sized deck, relax listen to the river, look at the mountain and perhaps even a moose will comer around! This great little place is perfect for that quiet get a way, do a little fishing right on the property or take a dip in the community indoor pool and hot tubs. This is at the top of the tiny house spectrum at 400 sq/ft. Enjoy your privacy with 2 bedrooms and a sleeper sofa for additional guests. Save money and spend time with family cooking indoors or grilling on the large deck. Perfect community for the whole family with a large clubhouse boasting an indoor pool, 2 hot tubs, showers, laundry room, fitness center and a game room! This property is located at the high end Tiger Run RV Resort, situated perfectly between the town of Breckenridge and Frisco. Just minutes to world class skiing at Breckenridge, Keystone, A-Basin, and Copper Mountain. So close to Breck, but far enough away to feel like you're not right in the middle of it! Great space. We had such a nice time. The view from the patio is incredible, Paul was so helpful and gracious, the hot tub in the community area was amazing, we just couldn't have had a nicer time. The cozy place had an excellent setting on the Swan River. There was an unfortunate situation with the water and power at no fault or anticipation by management, but they were prompt in their communication. The kitchen could use some more cooking supplies. Accessibility to the Summit County bus system was good, about a 10min walk to the closest stop. Just as described- great location, right on Swan River. Huge deck overlooking the river. A quiet and relaxing location. We enjoyed our weekend at this cabin! There were a couple housekeeping issues that we discovered when we arrived, but Darcie and Lloyd were very quick to respond and fixed the problem right away! The cabin itself is very tiny but it had everything our family of 4 needed. It has a wonderful large deck to lounge on. This cabin is part of what is essentially an RV Park. There are lots (maybe 200?) of spaceshalf filled with huge RVs, half with cabins. The spaces are small so your neighbors are very close! This cabin is nice because its right on the creek, so it only has a close neighbor on one side. Even with so many people so close together, it was a very quiet location. This little place was great for our family of 4! It looks just as described, a bit dated, but perfectly clean and the view and the sound of the river (stream) running by the deck is lovely. We didnt need anything fancy, just a clean bed to lay our heads after a busy day in the Mountains. Our girls loved fishing in the mornings. The property is just a few miles away from Breck Main Street, an easy drive or ride on the free shuttle. It is only about 10-15 min to Frisco too. The facilities and grounds at Tiger Run were clean and well manicured. Our girls liked the pool and we were thankful for the laundry facilities after our rafting trip! We would definitely stay here again! Lloyd's place was great. He was easy to communicate with and very patient with us. He was responsive, even in the wee hours of the night when I was messaging him about not being able to find the hot water switch (to the RIGHT of the stove), And even when we had issues attempting to turn on the old style oven. The place is cozy and located right next to the creek, which the pups LOVED! The unit has a blu ray player in it so we were able to renta couple movies and enjoy anight or two in. The clubhouse was great for our 12 year old brother that came along... fully equipped with a swimming pool, hot tube, basketball and arcade! Best Airbnb in Breck that wehave stayed in thus far. Thanks Lloyd! This was the best location of the property...right on the water! Our kids had a blast! I cooked lots of meals & found the kitchen to be very well stocked! We sat on the HUGE patio a lot & even used the nice bbq grill! We were comfortable in the beds & although it was cozy the outdoor space is so magnificent you didnt feel confined! Our kids loved the clubhouse & arcade & pool! We had car trouble upon leaving & Lloyd was beyond accommodating ! So very kind! We had everything we needed for our stay. The stream was so relaxing to sit back and listen. This is a great plan to unwind and relax! Stayed in June and Colorado was gorgeous. 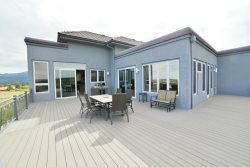 The home has a nice deck that serves as the primary gathering place for all. The view makes you feel like you're 50 miles from any town while actually being within 10 minutes of Breck & Frisco. This little house is in such a great location -- right on the river and very peaceful. Nice big porch for grilling out and just sitting and relaxing. Lloyd was a terrific host and very responsive. The space was the perfect size for the two of us + our dog, and we appreciated being so close to downtown Breck (10 minutes), but at the same time far enough away to be able to relax and enjoy the scenery. Great views of the mountains and Colorado Trail runs right next to the property -- good for hiking!